It is important that we can use this information to plan and improve services for all patients. We would like to link information from all the different places where you receive care, such as your GP, hospital and community service, to help us provide a full picture. This will allow us to compare the care you received in one area against the care you received in another, so we can see what has worked best. The surgery is working hard to ensure that it is compliant with the new General Data Protection Regulation (GDPR) that came into affect on the 25th May 2018. The surgery has a number of Privacy Notices that patients can view and staff are happy to answer any questions that you may have. It is also worth noting that the surgeries compliance is ongoing as there is still some uncertainty about how the changes will effect patients on a day to day basis. Occasionally patients may request a copy of their medical records. In accordance with the General Data Protection Act 2018, any patient is entitled to receive a copy of their medical records. We would ask that such requests are made via the application form below which you should return to the surgery. The surgery will respond to requests within thirty days of receiving them. A patient may not be granted access to their medical records if the GP or Health Professional involved believes that any information held within the records is likely to cause serious harm to the patient or any other person. If there are details regarding a third party within the medical records these can be removed prior to release. When notes are copied they will be checked thoroughly by the GP. When the medical records leave the practice they are the sole responsibility of the patient. 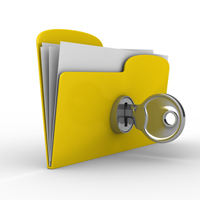 They must ensure they keep all their personal information in a safe place as the practice will not be liable if any items are lost or stolen.